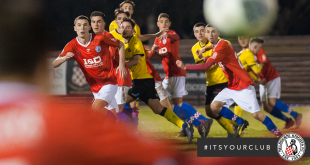 Melbourne Knights has suffered a 1-0 loss at the hands of Heidelberg United at Olympic Village on Sunday night. An own goal following a goal-mouth scramble in the box after a corner saw the home side take the lead, and despite Knights’ best efforts, an equaliser couldn’t be found. Ivan Grgic was the Knights player who got the final touch on the ball. A heroic performance in goals by Chris May kept Knights in the contest, the English ‘keeper stepped up on a number of occasions when he was needed most. In the 23rd minute, May pulled off a strong save to deny Heidelberg’s Kaine Sheppard, who looked dangerous throughout the match. May again denied the Heidelberg striker in the 65th minute, reacting well to palm the deflected shot away. Once again, defender Milan Batur lined up in the forward line and caused the Heidelberg defence some problems. 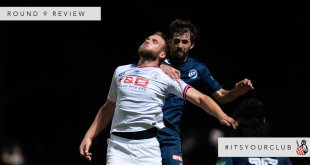 His volleyed effort in the 43rd minute, after Shayan Alinejad’s cross found him towards the back post, was desperately blocked by Steven Pace. Chris Talajic was a surprise inclusion in the starting XI and put in a 60 minute shift until he was replaced by Leo Athanasiou, who looked good when he came on. After conceding the own goal in the 20th minute, Knights pushed hard for an equaliser but were unable to create any genuine opportunities. Heidelberg ‘keeper Ryan Norval put in a solid shift, making saves when needed. 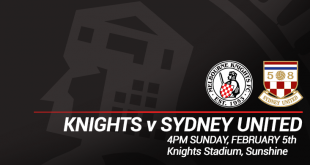 Knights had the ball in the net in the 43rd minute, but it was controversially ruled out. An Anthony Colosimo corner was turned in by Ben Surey, but the assistant had raised his flag, indicating the ball had left the field of play before curling back in. 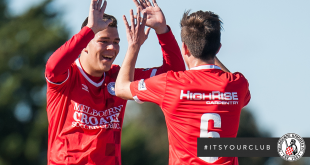 Heidelberg was able to see out the contest, to extend the Knights NPL winless run to seven games. 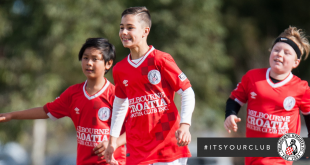 Melbourne Knights’ next game is against Port Melbourne, next Sunday, May 25. Kick off at Knights Stadium is at 3pm.